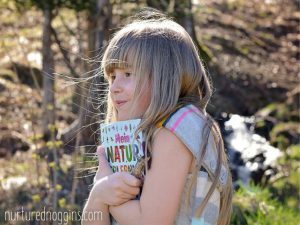 Why should I read to my baby or toddler? Most people know that it is important to read books with your kids. 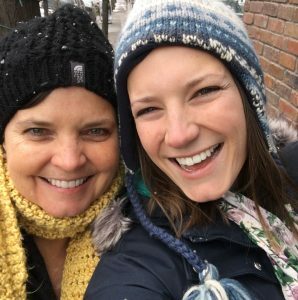 Your child benefits in so many ways when you read with them; these benefits are not limited to children who are old enough to “understand” a story, though. Children benefit from being read to from infancy. But what exactly do these pre-readers learn when we read to them? I believe knowing what and how our children are learning helps us to be better teachers. I couldn’t possibly list them all, but below are a few of the key skills that our babies, toddlers, and preschoolers learn by being read to. Children today are expected to read earlier and earlier. Learning to read is a complicated process that requires simultaneous use of many skills. These skills are learned incrementally. Some are taught explicitly and some develop naturally through exposure. Every child is unique, which means every child does not learn to read in exactly the same way. 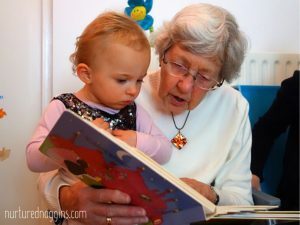 While I would never recommend drilling young children with flashcards or starting a reading curriculum at age 1 (Yes, people do this), there are certain pre-reading skills that babies and toddlers are capable of beginning to learn. 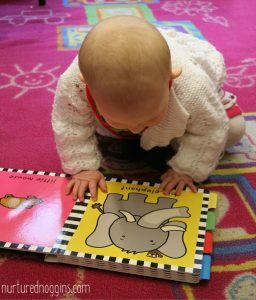 These pre-reading skills are fundamental to learning to read and are typically developed from birth to age 5. There are many understandings that are essential to knowing how reading “works”. These understandings, called concepts of print, are foundational to both reading and writing. Matured readers rarely notice these key concepts because they are so ingrained in our reading, but at some point we all had to learn them. These concepts relate to orientating oneself when reading and using books. Reading to your child also develops your child’s phonological awareness. 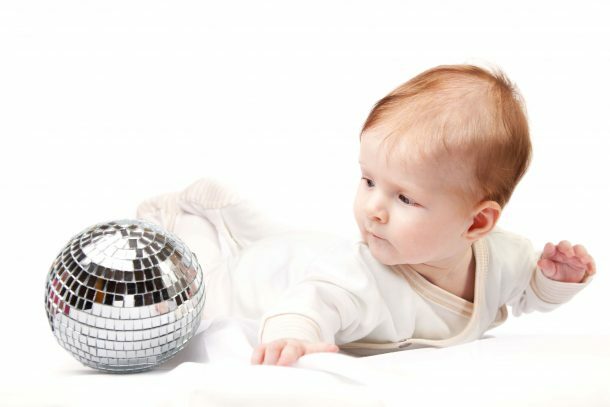 Your child must learn that words are made up of smaller sounds, which are called phonemes. This understanding leads to language development, as your child learns to combine and blend phonemes to speak words and eventually sentences. But phonological awareness is not limited to language development; it is also a critical skill for reading and writing. Reading and writing requires you to learn the symbol system for representing these phonemes (aka the alphabet) and the phonetic rules that correspond. Reading and writing requires (among other things) learning the alphabet and deleting, manipulating and segmenting phonemes–all of which rely on phonological awareness. So yeah, phonological awareness is important. Reading is a great platform for teaching phonological awareness because your child is exposed to a variety of language (and therefore, a variety of phonemes), hears more rhyming words, and conversation is encouraged when reading. 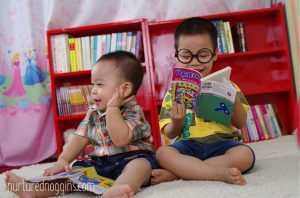 When your child enjoys reading and being read to, you are equipping your child with one of the most important skills for learning to read: reading motivation. Learning is much more meaningful for children when they are motivated to learn what is being taught. And I’m not talking about an extrinsic motivation like a sticker or smiley face. I’m talking about the ultimate power of intrinsic motivation. 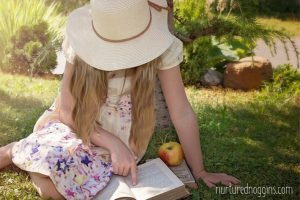 If a child loves to be read to, they are likely to have more self motivation to learn to read on their own than a child who has never enjoyed reading. You can create positive associations with reading by choosing books that align with your child’s interests, books that you yourself enjoy, reading with a cheerful (but still natural) voice, and always striving for reading time to be fun. The primary way a child’s language develops is through exposure and interaction. It is critical for your child to be talked to regularly and frequently in order for their language to develop healthfully. Reading is an excellent way to encourage language development because it can expose your child to a wider range of vocabulary and more complex grammatical structures than you may typically use with your child. The intentionality and repetition of certain verbiage children’s books typically have can also aid children’s learning of specific words. One-to-one correspondence is the ability to match one object with one thing. This skill is a crucial prerequisite for learning to count. In fact, if you google ‘one-to-one correspondence’ all sorts of sites pop up for preschool math activities. But this is also a necessary skill when learning to read. Reading requires the understanding that one spoken word is represented by one written word, sometimes referred to as the print-to-voice connection. You can encourage your child to develop this concept by sweeping your finger underneath the words as you read a book. This simple act demonstrates the print-to-voice connection and builds a foundation for the one-to-one correspondence concept. These are just five of the many, many skills your child can learn when you read to them. Aren’t these kiddos and their little noggins so amazing? I encourage you to prioritize reading in your child’s daily routine. This could look like reading books before naps and bedtime or taking regular trips to the library. Make books accessible to your child by placing them in easy to reach containers in any place your child spends time. The more books are around, the more likely that you and your child will read them.